Pastels, Pastels, on my desk, make me happy! Various colors from the normal and pastels Staedtler Triplus Fineliners pen sets, which go perfectly with this set of washi tape I found for $7 at Michaels. 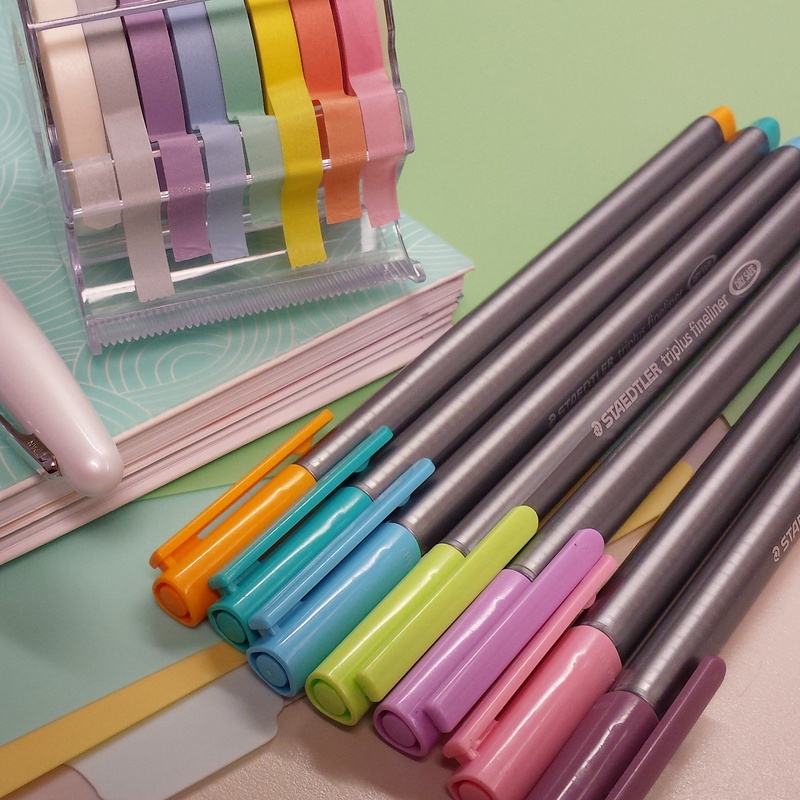 Staedtler Triplus Fineliners in pretty pretty pastels.